For my summer vacation, I went to check out the worst environmental disaster in the history of the United States. That’s right, straight down to the Gulf to see for myself the havoc reeked on birds dripping in oil, dolphins belly up for miles, and beaches lapping waves of petrodollars on deserted shores. 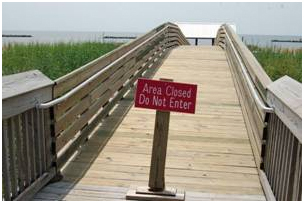 Well, except for the deserted shores, I didn’t find many overt signs of man-made mayhem. Instead, what I found was much more subtle. At ground zero in Grand Isle, Louisiana, I was in the eye of prevailing counter-forces in modern day America, where Big Oil has a stranglehold on Big Fishing, and both are sitting heavy on those employed by each industry, blaming government for intervening while pleading with government to preserve their way of life. Complicated? You bet. Hypocritical? Sure. Human? All too. The BP oil spill has shown the world the worst of what can happen when producers seek short-cuts to maximize profits, when government abdicates its regulatory role, and when residents are so reliant on a limited number of industries to make a living that they put their health behind job security. That is the struggle in the Gulf right now. Tourism is way down. There is a moratorium on offshore oil drilling until the federal government says it is safe. And commercial fishing has been closed in a large swath of the Gulf waters. BP is paying out claims for lost income at a snail’s pace, while pressuring the federal government to declare the area safe for fishing and oil drilling. And the people living in the Gulf just want to go back to doing what they do best – fishing and drilling for oil, or supporting those two industries. After Hurricane Katrina, this oil spill is no big deal. They have been through it all. No oil spill is going to stop their lives after a hurricane killed thousands of people, wiped out entire towns, and drenched 80 percent of New Orleans. Americans are tough, and those living in Louisiana and Mississippi are some of the toughest, proudest, and most resilient Americans I have met. But this spill is creepy. 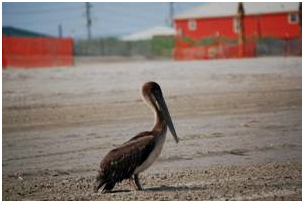 Yes, we all saw pictures of oil-drenched birds, and I did see one pelican soaked in oil, several dead fish, and tar balls the size of quarters all along the beach, even after the beach was declared safe for swimming. 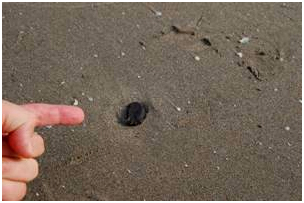 But visible signs of the oil spill have been largely contained. Following the uncontrolled gushing of the well, the impacts have been masterfully managed. But it is what we don’t see that is of significant concern. And because we don’t see it, there is a rush by BP to say that it does not exist. And these hurricane-ravaged people want to believe it. But not all. I read about local commercial fishermen who criticized the government for moving too quickly to open up areas for fishing because they fear that the remaining oil and chemical dispersant make the fish unsafe to eat. A native who owned a kayak business showed me an odd substance he had never seen before that washed up on shore, and he guessed it was dispersant. I read an op-ed from a Louisiana State University entomologist warning about the dearth of independent funding for scientific research while millions are spent by BP and the federal government on research that is not being vetted in the wider scientific community. I read about a University of Georgia study that shows most of the oil is not gone, as the government and BP have proclaimed, but suspended in large plumes in the Gulf. 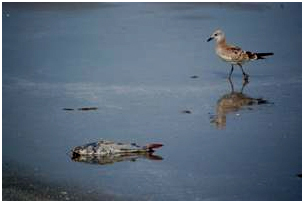 And I met a specialist from the International Bird Rescue Research Center who said that 400 birds found dead on the beach during the early days of the spill were not tested or studied because they were catalogued incorrectly. She didn’t think the actual scale of the dead and affected animals would ever be made public because the government and BP were controlling access to that information. These cautious locals and other experts are the counter-weight to the rush to getting back to business-as-usual. They are concerned about the long-term impacts of oil and the dispersant on bird nesting areas, fish reproduction, and human health. And so am I. While many in the Gulf understandably just want their lives back, others know that the fight against Big Oil has just begun. The pressure to reopen the Gulf to lucrative offshore drilling is intense. The drive to reopen fishing grounds has picked up to a gale-wind force. BP will do everything in its power to cut its losses and pay out businesses for lost income in exchange for a commitment not to sue in the future. They want to turn the page and their PR machine is in overdrive. But this oil spill is not only about an acute impact. It is about long-term repercussions in a complex ecosystem. 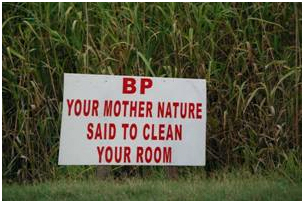 To understand what this spill means to BP, consider that the day after several segments of beach in Grand Isle were declared safe for swimming, I saw mature palm trees being transplanted into their rightful place in the sand, welcoming residents back. 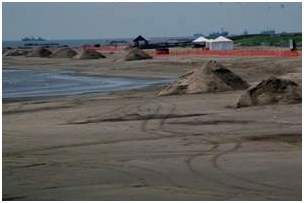 A half mile down the beach, a heavy duty construction operation was still scooping sand, sifting it through special equipment to remove hydrocarbons, and replacing it back on the beach. To understand what this oil spill means for America, throw a giant rock in a pond. The area of the initial splash gets back to normal fairly quick. But the concentric rings of impact spread outward in an ever wider path as it spreads across the pond, lapping onto shore. The BP oil spill was a giant boulder dropped in the Gulf, and it will be a decade or two before the repercussions of its wake fully come to rest. BP should commit to funding scientific studies by independent researchers with a guarantee that results will be shared with scientists and the public for at least the next 10 to 20 years. They should put money into an escrow account, so that if impacts are later detected, they have the resources to clean it up or pay out further claims. They should pay current claims and keep open the possibility of further payments as long-term studies are conducted and impacts understood. This oil spill is about producer responsibility, and I cannot think of a more quintessential producer than BP. It is time to resist the force of a reckless company and teach BP the meaning of social responsibility.